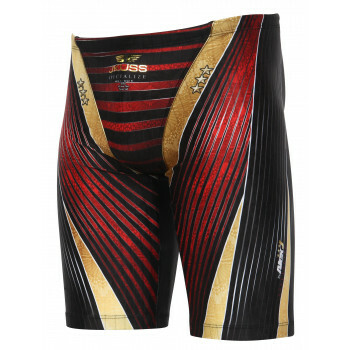 JKUSS Specialize SPE-02M Jammer swimming trunks in black, red and gold. 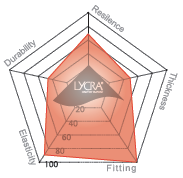 The S1 Material is 80% Polyester and 20% Lycra and weighs 320g/yard. The fabric is thin, light and has good elasticity that makes it very comfortable.